Google’s 2016 smartphones have dropped the Nexus moniker and, in line with the company’s high-end Chromebooks and tablets, have instead adopted the Pixel brand. Despite being made by HTC the Pixel and Pixel XL are marketed as Google devices and only differ in terms of screen size and resolution as well as battery capacity. A 5″ 1080p AMOLED display and a 2,770mAh battery can be found on the standard Pixel, while the XL comes with a 5.5″ QHD-screen and a 3,450mAh battery. Both devices are powered by Qualcomm’s top-end chipset Snapdragon 821 and 4GB of RAM. The metal body with glass inlays on the back also houses a fingerprint reader, USB Type-C port for quick charging and a 3.5mm headphone-jack. 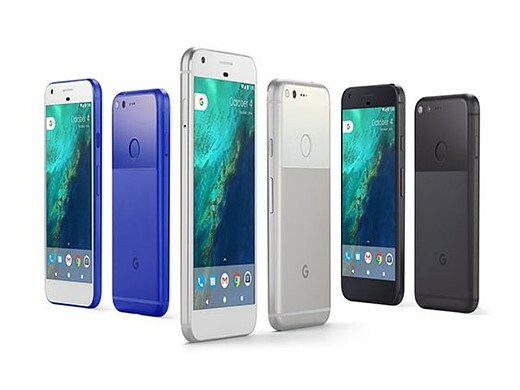 In the US the devices will be available in black, silver and blue, with pricing starting at a fairly steep $649 for the standard Pixel with 32GB of built-in storage. The Pixel and Pixel XL have generated a lot of buzz for their imaging capabilities in a short amount of time – click through to see what else you should know about the new Google Pixel phones. Google says the camera stack used by the Pixel has been redesigned, even though on paper the camera specifications are similar to last year’s Nexus models. 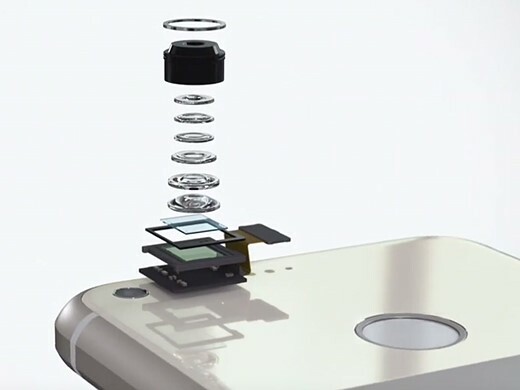 A 6-element lens with F2.0 aperture is placed in front of a 1/2.3″ 12.3MP sensor with 1.55µm sized pixels. On-sensor phase detection is on board as well and a laser-beam helps measuring the subject distance in low light for even better AF-accuracy. A dual-tone LED flash should make for pleasant skin tones when shooting with the built-in lamp in very low light. On the video side of things the Pixel phones can record up to 4K video at 30fps. In slow motion mode you can shoot Full-HD footage at 120fps or 720p video at 240fps. Perhaps the most notable new feature is a gyroscope-based electronic video-stabilization system that looked very promising in Google’s demonstration video during the launch presentation. It reads the gyroscope 200 times per second in order to correct for any camera movement and also helps reduce the “jello-effect” that is often noticeable on CMOS-sensors when panning the camera. The front camera specification would not have looked out of place on a main camera only a few years ago. A 1/3.2″ 8MP sensor with a 1.4 µm pixel size and F2.4 aperture should allow for decent selfies in most conditions and the front camera is also capable of recording 1080p video. While the Pixel’s camera hardware is pretty much in line with other high-end smartphones, it’s the imaging software that really sets the Google devices apart. Thanks to more powerful image processing and a zero shutter lag the camera can now use Google’s excellent HDR+ mode, which has been available in the Google Camera app for a while, by default, without any noticeable processing delays for the photographer. Instead of taking one longer exposure, HDR+ captures multiple images, aligns them algorithmically and merges them. This results in improved dynamic range, lower noise levels and better detail at all light levels but is especially helpful in low light conditions. Additionally, Smartburst captures several frames just before and after you press the shutter button and then, thanks to Google’s image recognition technology, selects the sharpest and clearest photos with the most pleasant facial expressions to display. 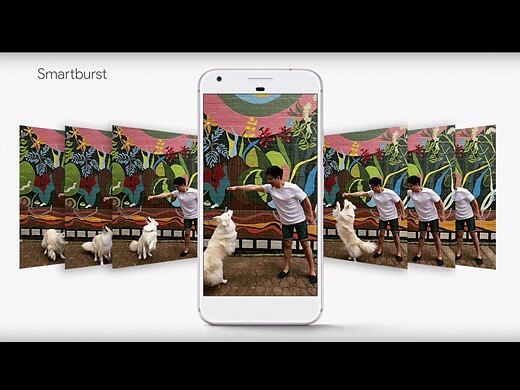 Google also says the Pixel is quicker than any other smartphone in getting ready to capture a picture. It appears the Pixel’s high-end camera hardware and Google’s clever imaging algorithms are working together very well. DxO has already tested the Pixel camera before its launch and with a score of 89 the Google device is the best smartphone ever tested. It takes the top position in the DxOMark rankings ahead of such illustrious competition as the new iPhone 7, the Samsung Galaxy S7 and the HTC 10. The DxO testers were impressed by the great detail and low noise levels across all light situations. They also found exposure to be spot on and the autofocus to be very accurate, both in still in video mode. 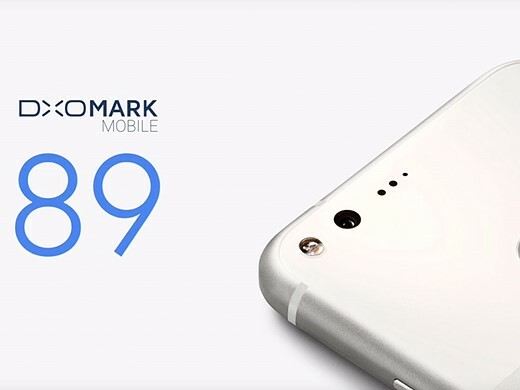 You can read the full report on DxOMark.com. Like previously the Google Nexus devices, the Pixel phones do not come with a microSD memory expansion slot. This is something many mobile photographers won’t be too happy about but the Pixel is meant to be a cloud device and Google is emphasizing that by offering free unlimited cloud storage for full-resolution images and even 4K video in Google Photos. A Smart Storage option will upload images and videos storage to your personal cloud and delete them off your phone automatically when your local storage starts to get full, similar to the Nextbit Robin. So nothing is stopping you now from recording that feature film in 4K resolution – just make sure you’re close to a reasonably fast internet connection. The Google Pixel devices are not the first smartphones to come with Android 7 Nougat – that honor went to the LG V20 – but for its own devices Google has launched version 7.1 which comes with a few modifications, some of which are specific to the Pixels. One of the most notable differences is the new launcher that comes with an opaque shelf and round icons and folders. Other cosmetic differences include blue accents and custom navigation bar icons. 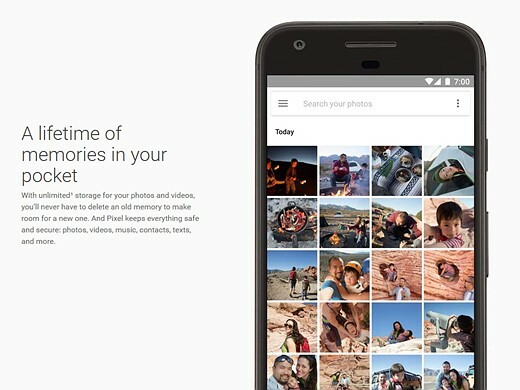 In addition to unlimited photo storage Pixel users will also enjoy Google’s 24-hour tech support service. You can call or chat with a trained representative right from the device settings. 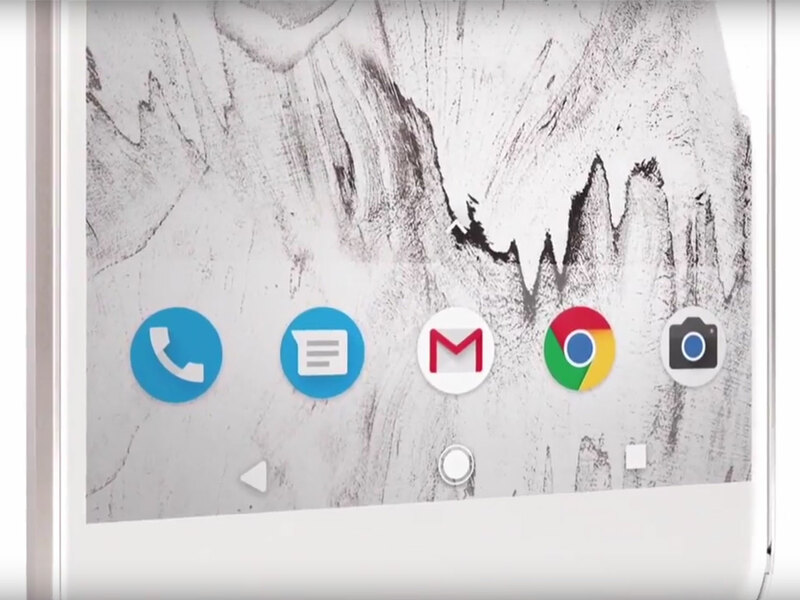 New features that are not exclusive to the Pixel phones are fingerprint gestures, which for example let you swipe down on the sensor to open the notification tray and the Night Light feature, a blue light filter that is activated at night. Seamless Updates downloads and installs updates in the background while you keep working on the device. They are then activated after a restart, similar to what you’re used to from a Windows PC. Of course version 7.1 also offers the new features we’ve already seen on the original Nougat, such as ‘Project Doze’ which makes the phone use less battery while it’s not in your hands with the screen on and the ability to reply directly to notifications from the notification tray, without opening the corresponding app first. Google Assistant is Google’s Version of Siri or Cortana and a much more intelligent version of Google Now. Assistant uses machine learning to become more useful the more you use it and in the future will come with different “personalities” for different types of tasks. The version in the Pixel phones is already able to set and send calendar reminders, search for and book restaurants, find gas stations while you are on the road or play music while you are at home among many other things. It remembers every interaction and is therefore capable of having conversations rather than just receiving commands. 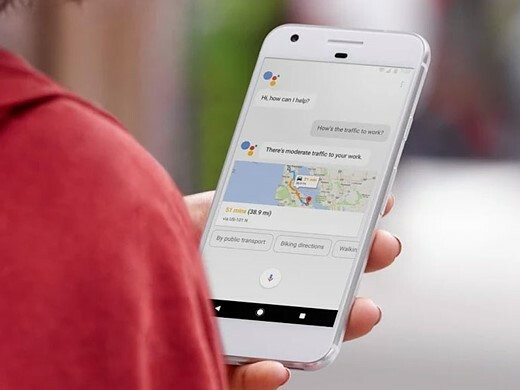 Google Assistant uses data from your personal Google account in combination with voice and image recognition technologies, the built-in sensors in the phone and machine learning methods to offer its services. The Pixel and Pixel XL are the first devices ready for Google’s Daydream VR technology that was first demonstrated at the I/O conference in May. 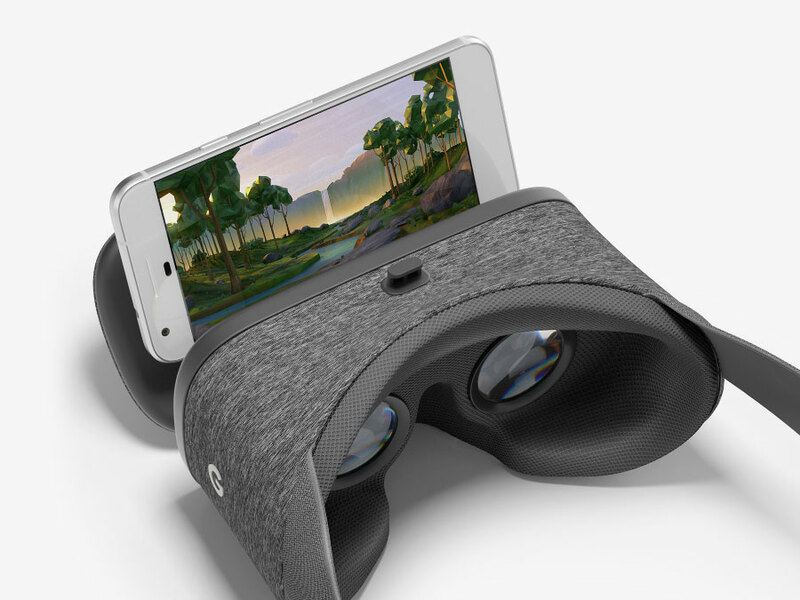 Together with the smartphones Google has now also unveiled the Daydream View headset, which at $79 is meant to bring VR to the masses. The headset is made with a soft and breathable fabric that allows for extra comfort and makes it easy to use the headset over glasses. As a side-effect it is approximately 30% lighter than similar devices, for example Samsung’s Gear VR. Phone and headset come with an auto-alignment system, so once the Pixel is dropped in the Daydream VR you don’t need to worry about any cables or other connections. Daydream VR comes with the Daydream controller remote control that lets you interact with the virtual world you are moving in. It has a number of sensors to interpret your gestures and movements and offers high levels of precision. When not in use it slides into the headphones, reducing the risk of losing it.